The Christian Dance Fellowship of Britain (CDFB) was born in 1990, and is part of the broader International Christian Dance Fellowship, an organisation fostering links between national dance fellowships across the world. The CDFB is a network that connects dance enthusiasts who share the Christian faith. We aim to be a place of connection and meeting for people with a Christian faith who are seeking to explore, understand and develop their relationship between dance and faith. Our gatherings give us the opportunity to celebrate all that our God is doing through the art form of dance, where we can be a community, who together can enjoy embodied prayer and worship and be inspired, strengthened and encouraged by The Holy Spirit and each other. The CDFB leadership is also available as consultants to support church leaders who want to encourage diversity within the worship of their church or community. Organised by Regional Co-ordinators and Area Representatives. They maintain contact with members in their region and organise local workshops and fellowship days. On both a national and a regional level, give opportunities to meet people from all over Britain who want to learn and share together, to renew their vision, develop technique and explore new areas. See the Events page for details of workshops and events. The national magazine is sent twice yearly to members to provide details of national and international conferences, festivals, workshops and courses, as well as regular articles on the many aspects of Christian dance. Regional newsletters are also sent out regularly giving local information. Internationally, CDFB is a member of the International Christian Dance Fellowship ICDF, which links Christian dancers and dance ministries around the world. We have strong ties with people in other creative art streams through the Christian Artists network and their annual conference. Some of our members are active internationally, running workshops and supporting dancers in other ways in Italy, the Netherlands, Germany, the USA and elsewhere. 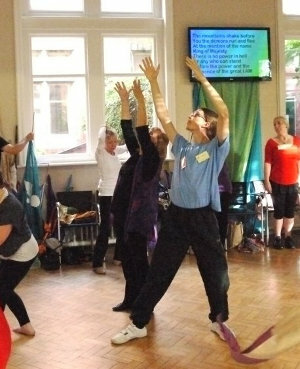 In ICDF Networks, we share different "zones of passion", specializing in Christian dance, movement, and other interests. ICDF's networks give opportunities for global networking and communicating between people who share these same "passions". ICDF Network Co-ordinators are the contacts for sharing resources, events, ideas, and dialogue. This can be in the form of Facebook group pages, newsletters, cyberforums, and email. Face-to-face meetings among the networks are held at the ICDF international conferences held every three years. The CDFB is registered in England and Wales as a company limited by guarantee, number: 5466472, and as a charity, number: 1115037.